When Mr. Berg became a partner at a prestigious New York law firm, he did not want the typical conventional partner’s office. LETA had just completed renovating his Brooklyn apartment, and was excited to work with him again. His vision was clear. He desired a modern, unconventional office space. 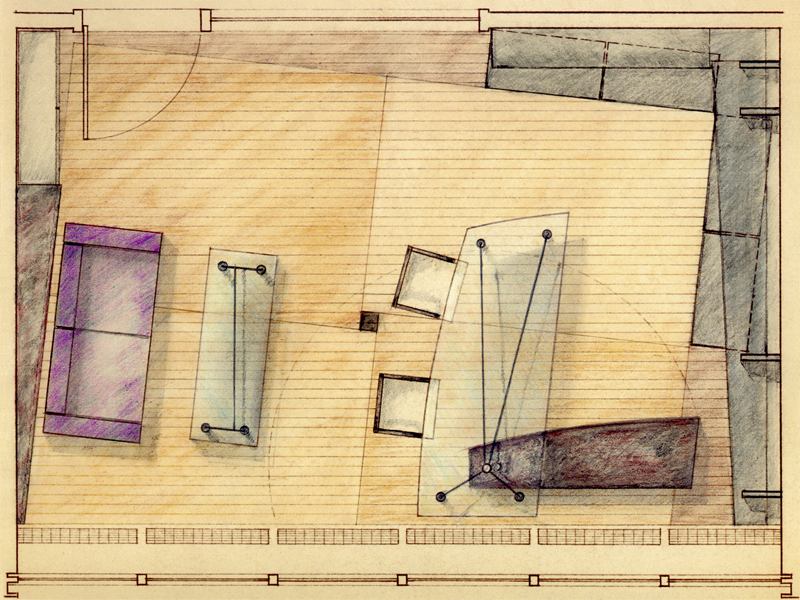 The design for Mr. Berg’s office included a new wood floor, custom desk, bookcase and coffee table. New office chairs and couch were also specified. The entire office layout was rotated at a slight angle to give Mr. Berg the ability to maximize views – both in the office and out his window. 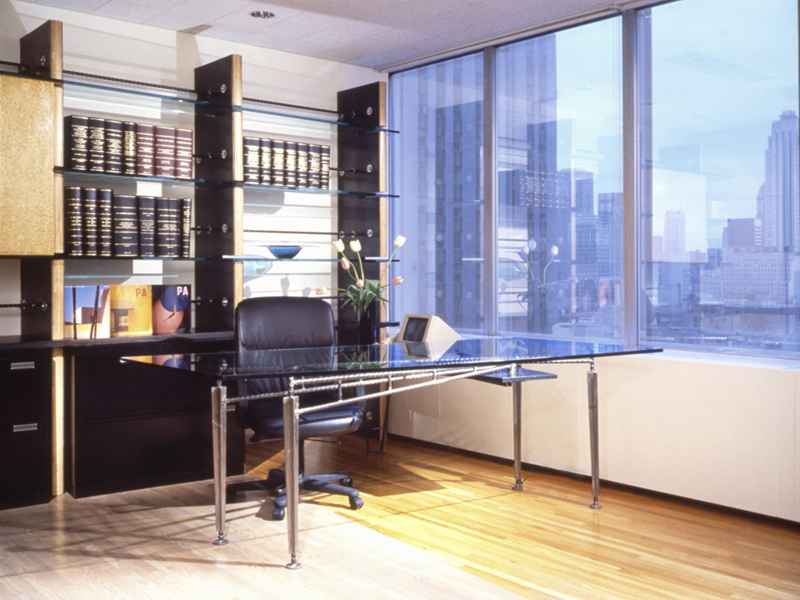 His desk was designed with custom glass top, which curved to one side, supported by a steel frame. 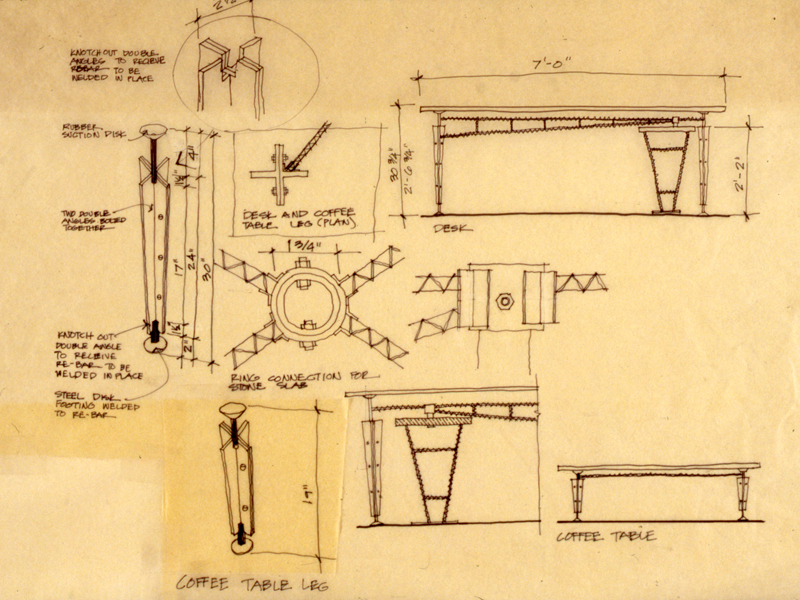 The return for the desk is topped with granite and was suspended from the frame of the desk, allowing it to rotate. This allowed him the ability to adjust how much room between the surfaces. 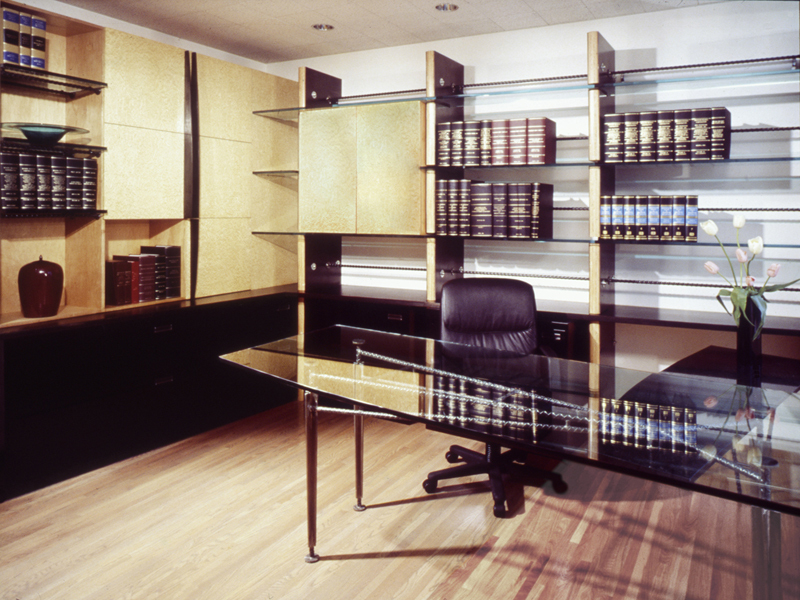 Along the entire wall behind his desk a custom backlit bookcase with file storage below, was created. 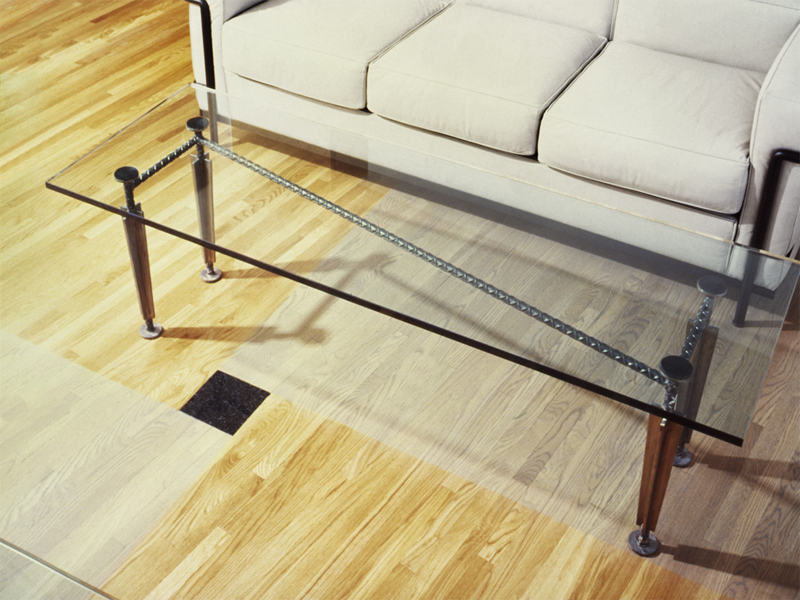 The vertical supports to the bookcase are steel plates with a plywood core, bolted together. 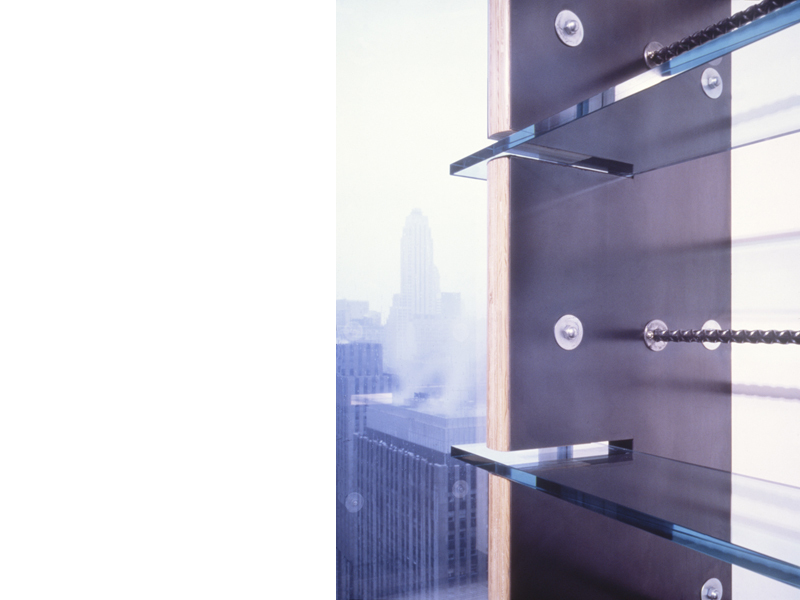 Notches cut into the vertical supports allow for glass shelves. 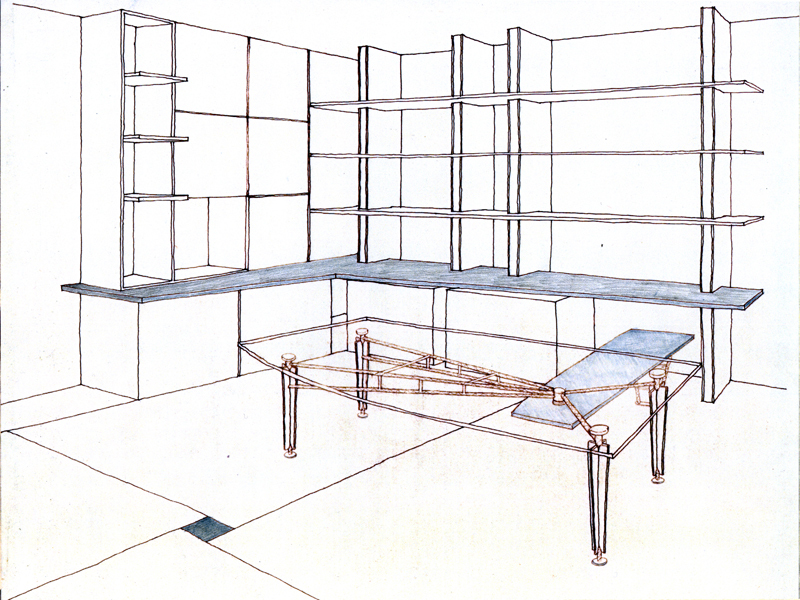 The overall experience is a space that is light and open as well as meeting the needs of storage and having sufficient work surfaces.